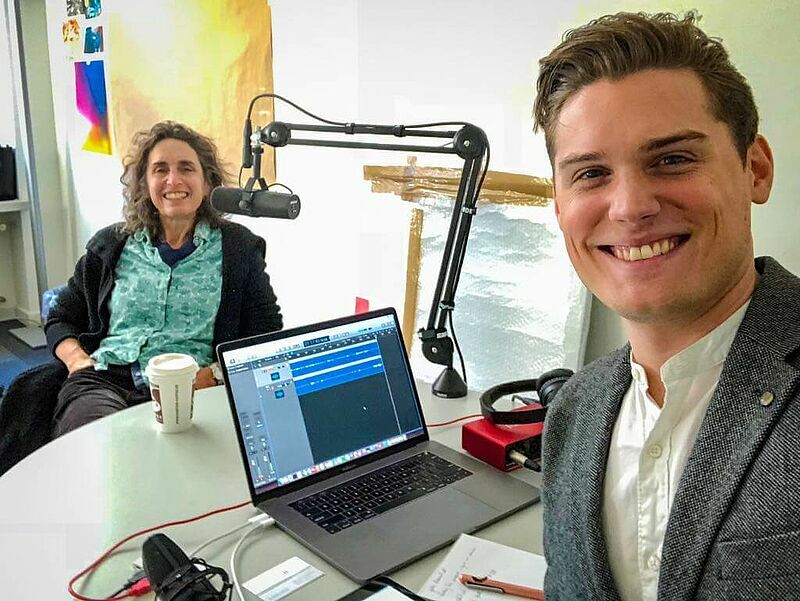 The recently launched student podcast GovPod features an interview with Pulitzer Prize-winning author Elizabeth Kolbert, who visited the Hertie School on 31 October to meet with students and talk about her experience as a journalist covering environmental issues. Kolbert, who is a staff writer for The New Yorker magazine, also took the time to sit down with GovPod producer Nick Lloyd-Kuzik to discuss her 2014 book, The Sixth Extinction, which received the Pulitzer Prize for general non-fiction in 2015. Kolbert was in the city as a guest of the American Academy in Berlin. GovPod is a new podcast series of the student magazine The Governance Post, featuring interviews and student panel discussions on a wide variety of public policy-related topics. The first episode of the podcast was a discussion of nationalism and populism and the second is the interview with Elizabeth Kolbert. Nick Lloyd-Kuzik, the GovPod’s producer, is a 2018/19 exchange student at the Hertie School from the University of British Columbia (UBC) in Vancouver, Canada, where he is studying environmental policy, sustainability and health. He is also the producer of the podcast program PRT Weekly at UBC. The GovPod is open to student contributors who would like to pitch podcast ideas on topics of interest to the Hertie School community. For more information, contact hertiepodcast@gmail.com.